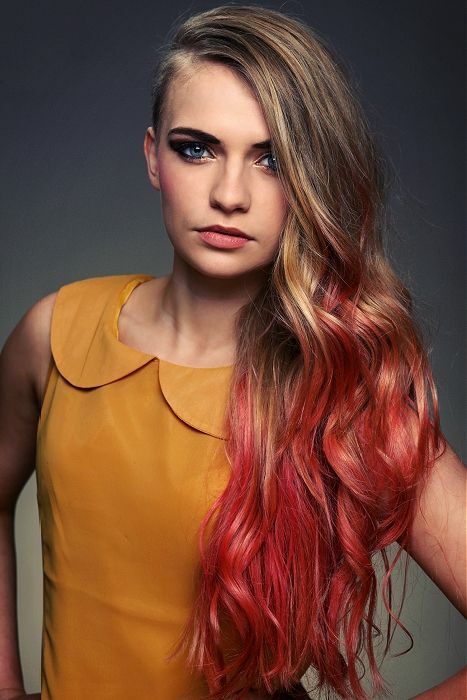 Ombre hair (sometimes called balayage) – a term ombre comes from the French and means shaded. The name is derived from the method of dyeing fabrics, which was developed in France in the 40’s of the 19th century. We are just step away from the meaning of ombre hair. It is a method of dyeing hair with gradual transition between the original hair color and the dyed one. This type of dyeing become very popular among celebrities in recent years. In this article we provide you step by step guide on how to dye ombre hair with many real inspirations from our photo gallery. Dyeing your hair in ombre style may be difficult for many. Who do not dare to create this hairstyle at home should rather visit a hairdresser. Price is very individual, but first ask for hairdresser’s experiences with ombre hair. We bet you do not want to be her or his the very first experiment. In each case, it is good to know how to create this hairstyle, (you will know what you can expect from your hairdresser). The advantage is a mirror, the process will be easier if you are going to dye your hair yourself. Tear aluminium foil into large pieces. Comb your hair with hair brush or comb, divide into halves and fold them over your shoulders, so you can access them easier and see them well. Again, divide your hair into smaller sections, for example in half or thirds, the smaller the parts, the more natural will ombre hair look like and if you make a mistake in one section, damage won’t be great. Grasp a single strand and a brush to apply the color brighteners or bleachers (we do not recommend peroxide, but it is an option), most apply at the ends and as you will continue up, lessen the volume, then wrap the hair strand into aluminium foil. Repeat step 4 for each section (level of the application may be the same, but different heights achieve a more natural look) and wait (as long as stay in instructions on the box to bleach/discolor, e.g. approx. 45 min. for bleacher); you can check the current shade under aluminum foil and possibly end earlier (leave untouched for at least 20 minutes, than check it every 5 minutes to see how you like the color). Take off the aluminium foil and if you are not completely satisfied (wrong shade or undesired look) repeat the process; we recommend you to wait a few days to give time to your hair to regenerate. Finally, wash and dry your hair, and possibly curl (wavy ends look very good for this type of hair, just see the photo gallery below). If you want to apply another hair color, wait few days and dye your hair with different color or shade (the process is the same as with bleaching). Caution: Abide by the instructions on the bleachers or hair colors, do test for allergies. As you can see in the gallery, ombre hair is worn by celebrities such as Drew Barrymore, Jessica Biel, Mila Kunis, Jennifer Lopez or Beyonce, who determine trends not only in fashion but also in hairstyles. To make your ombre hair look naturally choose dye/s with the difference between the colors up to 2 shades. Classic ombre hair consists of darker top and lighter bottom. 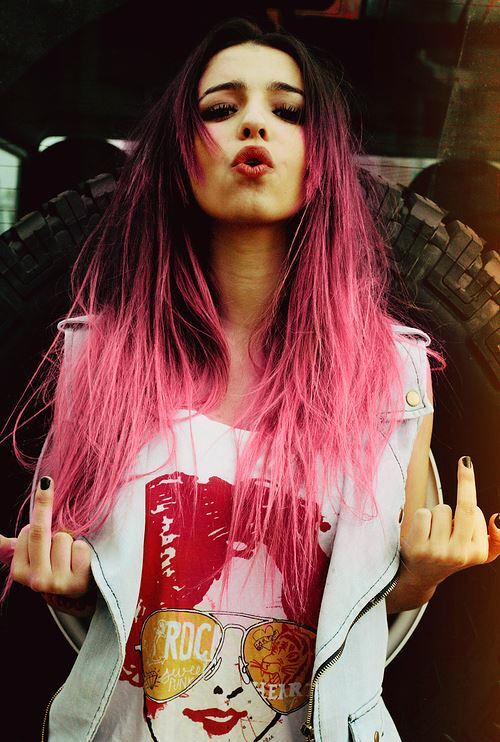 If you want extravagant and original hairstyle, use any color. And finally, if you want something in between, use either hot or cold shades, darker on top, lighter underneath.